Feudal Japan played host to a range of incredible warriors known as samurai and ninja. We make it possible to enjoy these Japanese soldiers in a whole new way with our range of Japanese armour. Our inventory of functional oriental armour includes pieces like leather cuirasses, mempo, Japanese bracers, Japanese greaves, and other body armour. These pieces of historical armour work well for reenactments, theatrical productions, the Renaissance fair, and LARP events. They also look fantastic when put on display in your home. 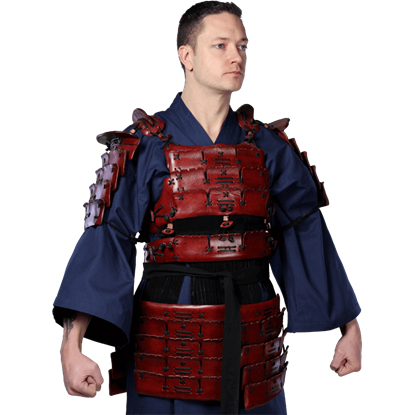 Our samurai armour is sure to impress, so come back regularly to see the latest additions to this category! Once, the mempo was a classic element of the armor of a samurai. In this Classic Leather Mempo, it gets an upgrade. 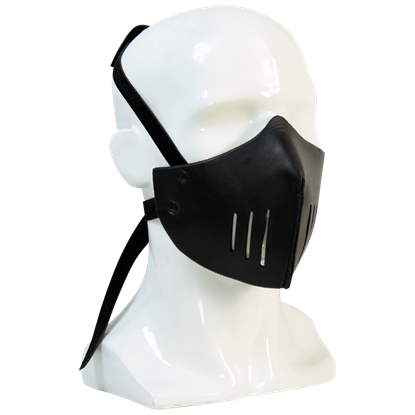 Still perfect for that use, this mempo is also a stellar leather mask that can find a variety of other uses too! Samurai were not the only ones who could wear intimidating face masks into battle! This Dark Elven Warrior Mempo re-purposes the historic mempo and transforms it into an epic piece of fantasy armor, fit for any dark warrior to wear. If you find yourself fighting zombies, or monsters and mutants of any kind, a face mask can be a life-saver. 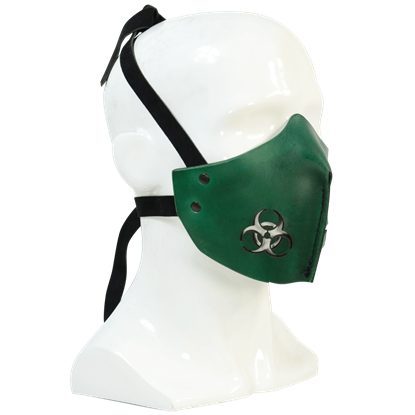 This Leather Biohazard Mempo Mask combines an old Japanese protection with a modern twist to suit just such a need. 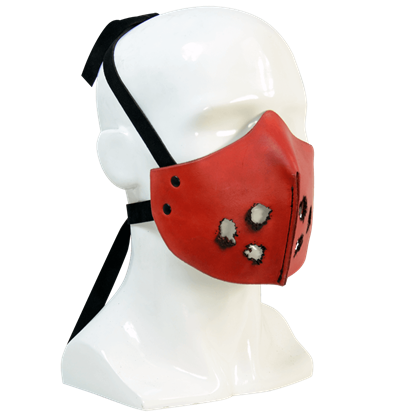 There is a sinister sort of style to this Leather Killer Face Mask. 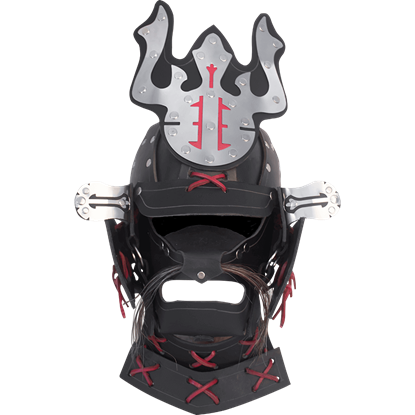 Inspired by the mempo armors of ancient Japan, this mask is part leather face protector, and part incredible accent that is sure to stick with anyone who sees it. The samurai of ancient Japan were no strangers to armor. 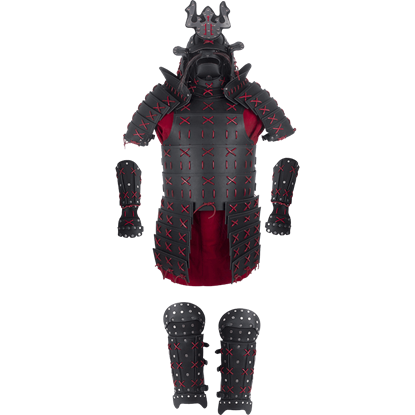 This Leather Samurai Armor is a recreation of the traditional great armor in leather so that modern warriors can enjoy the same protection that these legendary warriors wore. 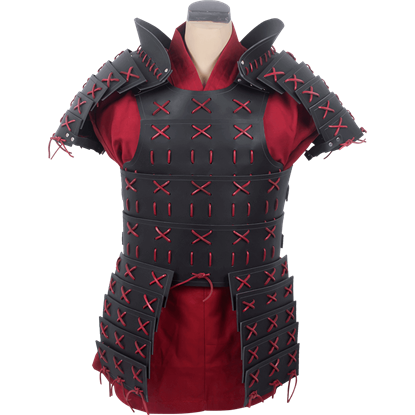 Immerse yourself in your role as a samurai warrior when your wear the Leather Samurai Armour. This beautiful armour includes a cuirass and pauldrons, which both feature a spectacular plated design to maintain superb flexibility. 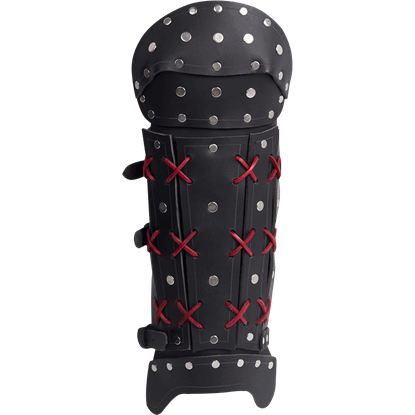 Embodying the style of the armour worn by samurai warriors in medieval era Japan, the Leather Samurai Bracers are designed for use in LARP battles or light reenactment by those seeking to accurately portray a samurai. 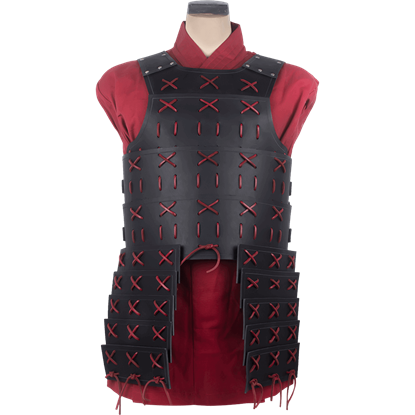 In an extraordinary replication of samurai armor, the Leather Samurai Cuirass features a plated design which offers supreme flexibility. This is exceptional armor for those who LARP and desire embodying a role of an eastern warrior. 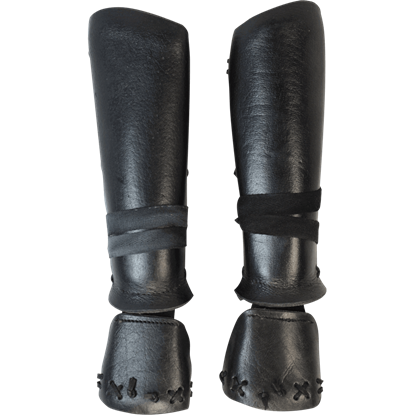 Inspired by the armour worn by Japanese samurai warriors, the Leather Samurai Greaves are a spectacular choice for any LARPer who desires suiting up in the regalia of these elite warriors and bringing honor to the battle field.